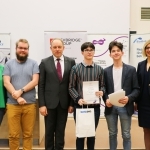 On March 16th, Kaunas University of Technology Faculty of Informatics (KTU IF) hosted close to 167 high school students participating in the 21st Dr. Juozas Petras Kazickas Computer Science Forum for school children. 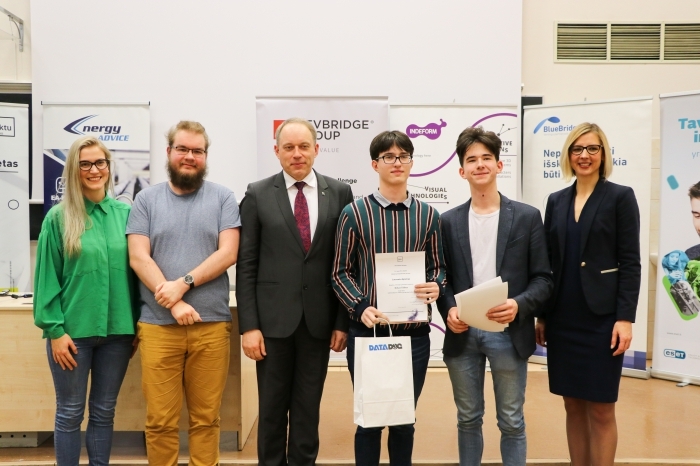 Sixty seven winners of the regional contests that led to the Final Forum were awarded with special prizes by the Kazickas Family Foundation and other generous event sponsors. 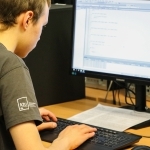 For many years in a row, the most popular competition was programming with 103 students competing. For the first time not only the participants were invited to the Forum, bus everyone interested in the robotics and microcontrollers. 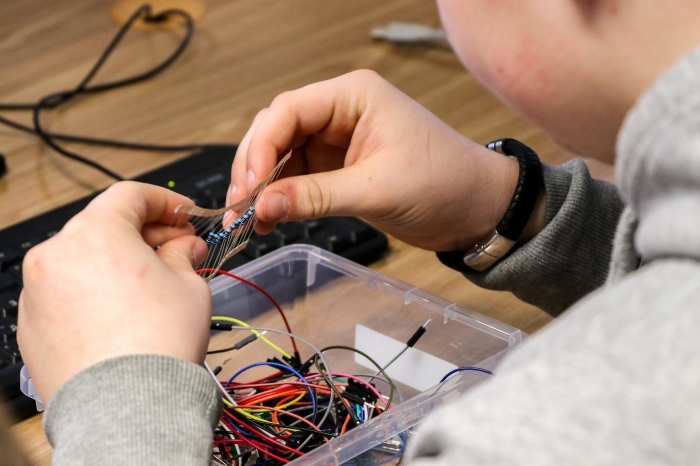 More than 60 students and 30 teachers participated in the workshops. They were taught how to program the robot to accomplish specific tasks - drive the assigned direction, climb the wall, turn around, etc. 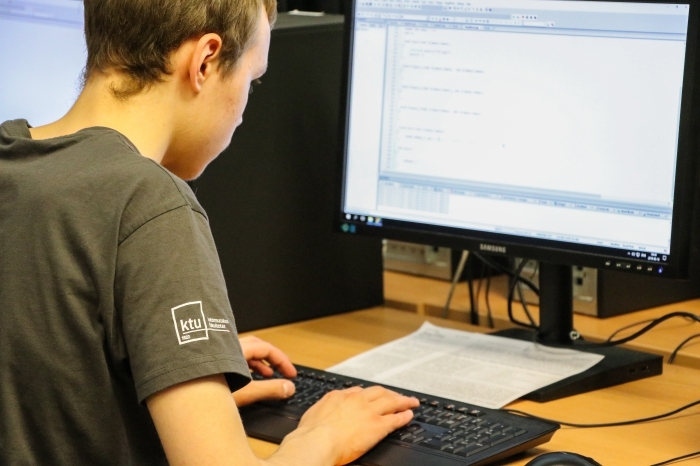 After the contests and workshops, all students had an opportunity to enjoy Virtual Reality games created by the KTU IF and to compete in the drone and robot competitions. "We've prepared the track for the drones. In order to make it more interesting, we've added some obstacles. Before successfully landing on a designated platform, drones had to go through the rings avoiding the balloons," shared faculty teacher Lina Narbutaite who created this project. Special guest, KFF Vilnius office director Agne Vertelkaite was excited to see all the young talents, sharp minds and creative souls at the event. According to A. Vertelkaite, Dr. Joseph Kazickas' initiative "Computers for Lithuania" gave a start for such opportunities we have today. 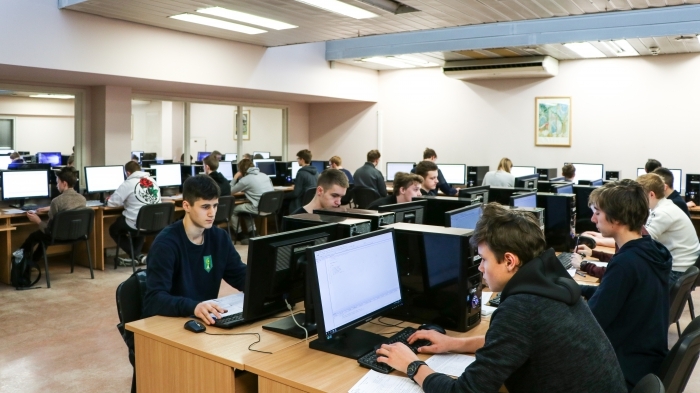 When it started in 1998, close to 300 Lithuania's schools' computer rooms were equipped with all the necessary technology in order to provide students with computer science education. "I'm glad to see that today students have all the opportunities to use the latest technologies. 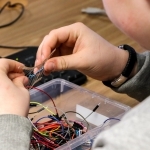 However, it doesn't stop here, new generation of young programmers have a new challenge - to come up with a vision what kind of Lithuania they want to have. Dr. Kazickas used to say that you need the same amount of efforts to accomplish either small or big goals, so I encourage all to reach for the big ones," shared KFF Vilnius office director A. Vertelkaite.